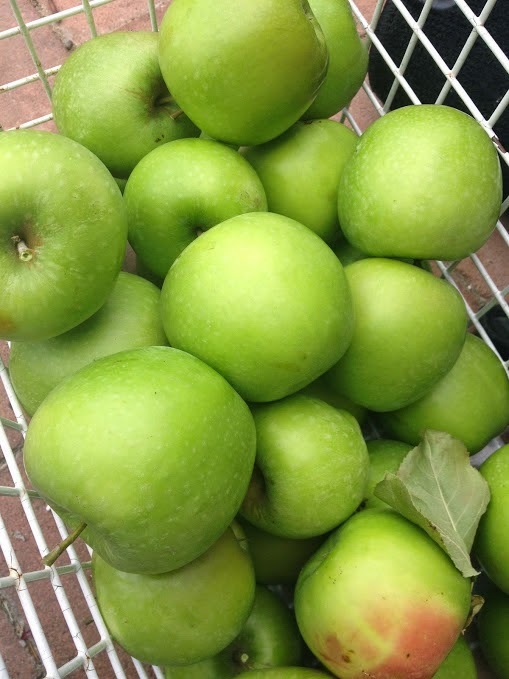 jumping aground: Apples galore! And how not to prune an apple tree. Apples galore! And how not to prune an apple tree. Real gardeners probably shouldn't read the following. It could be distressing. The hubster knows even less about this thing called gardening than I do, and while he often shows little interest in the mundane, repetitive aspects of day to day plant care, on the odd occasion he is ... let's use the word energetic. Last winter he took the chainsaw to the apple tree. The apple tree needed pruning. He didn't have a clue what he was doing. But he had fun! He was a Happy Husband! There were lots of rather substantial limbs strewn around the garden, reminiscent of trees after a cyclone. The apple tree looked very wonky. Misshapen. Forlorn. It's possible the husband was proud of his workmanship. I didn't ask. The wifely member of the partnership was not happy. The horticultural neighbours were aghast. They prune with understanding, knowledge and many, many years of experience. We could have asked their advice they said, with sad, sad faces and tearful eyes. The tree did not get bugs or rot in the torn ends of the limbs. 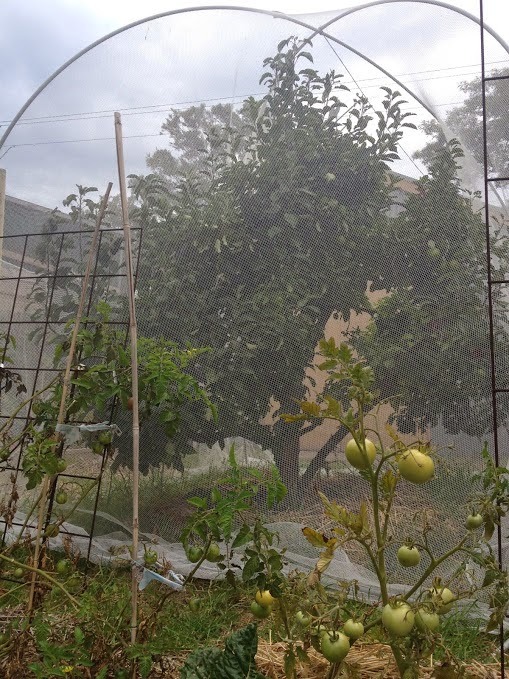 We constructed a net to keep the rainbow lorikeets off the fruit. The fruit grew and grew and grew. There is lots of fruit. It's large. It's prolific. The codlin moth seems to have been frightened away. We're eating apples. Lots of apples. Apple crumble. Apple sauce. Stewed apple. Apple pie. We're freezing containers of stewed apple for later in the year. We've spent hours peeling and slicing apple to be dehydrated. The neighbours are receiving gifts of bags of apples. One year I tried to make apple cider, but I botched it up and ended up with very tasty apple cider vinegar. Maybe I'll try making cider again! I'm sure there's a lesson in here somewhere, I'm just not sure what it is. Well now. All's well that ends well? The apples look lovely! Hilary, I wish I could share some with you! I'm really quite pleased with them. Liza, Good old Shakespeare! Perhaps it was Much Ado about Nothing, hmm, and I was the Shrew, and the outcome was A Midsummer Night's Dream?